The minimalistic contemporary look of the Goran Collection captures the clean aesthetic that you strive to achieve in your home. 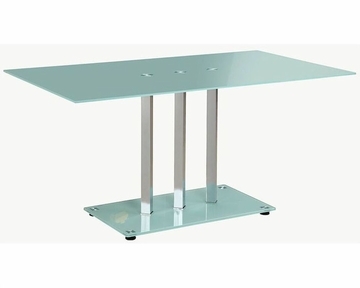 The glass tabletop and base are accented by vertical chrome finished supports. Your individual taste comes to the forefront in the chairs that you choose to accompany your table.